It’s been a strange week post-infusion. The infusion wore me down. My pathological optimism took a hit. Mood has its ups and downs in the best of circumstances. Although I mostly live up, the human condition is variable, jagged, up and down. I don’t dwell much on my Multiple Sclerosis. It’s seriously annoying, but I am not Multiple Sclerosis. This week I can’t shake having a progressive illness, especially during the witching hour from 1 am to 4 am. I saw my physical therapist. She told me I’m progressing very slowly. 2-3% a year over the past five years since she started recording the Boston University AM-PAC™ for me. Sheesh, that’s pretty specific. Slow, but still progressive. Walking’s my biggest challenge, as you know. I’ve gone from walking slowly unassisted to walking better and safer with a cane. Now it seems like I need two canes when I’m feeling less strong and on uneven surfaces. Plus I started using an electric wheelchair when I’ve exceeded my endurance limits. A month or so ago I graduated to a trike with 27 instead of eight gears when I noticed I was living at gear 2 on slight inclines. Ten years ago I set a minimum target of 3500 steps a day. I actually averaged 7500 steps a day five years ago but kept the minimum of 3500 because I so like to exceed expectations. Even my own. Now I average 4500 a day. I’ve only missed a handful of days at 3500 steps in the past 10 years – once when I had pneumonia, and several immediately post infusion. I don’t share my demons for your sympathy. We all have demons, in different flavors. I share my demons to highlight my goal of operating at peak performance. I used to think of peak performance as something athletes did. 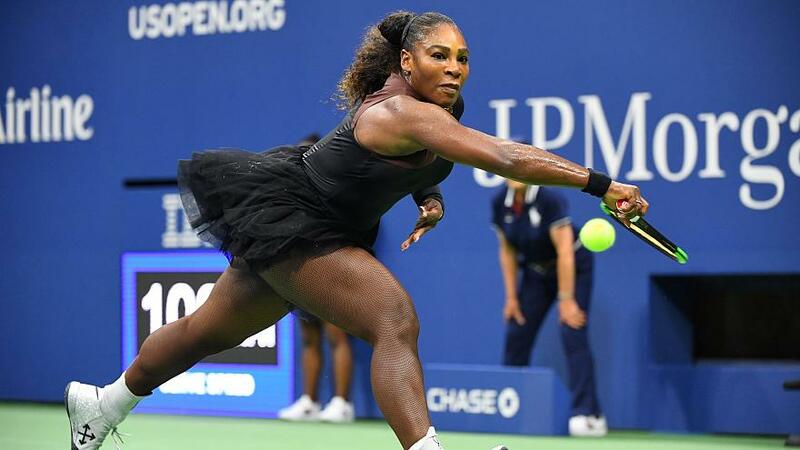 Serena Williams, one of my athlete heroes, lives at peak performance. Peak performance is a moving target for everyone as circumstances change. For Serena, the moving target has been age and pregnancy. For someone with a progressive condition, like MS or aging, peak performance is also a moving target. Peak performance depends on equal shares of genes/biology, circumstances, effort, and luck. I’m a white man born with pathological optimism. Those are genes. I did nothing to get them. They’re gifts. So is the MS. Circumstances are that I live in the US, I have access to many modes of transportation, our water is clean and clear, and electricity is plentiful. We can take advantage of circumstances. Effort is my routine of diet, exercise and stress management, loving my family, feeding my network, showing up. I choose to put in the work. Luck is that I met my wife and that both my sons settled in Boston. I’m thankful for luck. Effort is that my wife and I pulled up stakes and moved from upstate NY to Boston when our sons settled here. Circumstance is that Boston has many choices for healthcare delivery so I can pick and choose. Make sense? It’s actually fun, curious, gratifying and hopeful to reveal and assemble the pieces of the peak performance puzzle. I never appreciated how much work it is nor how rewarding. It takes a team to live at peak performance. I have a great team. That’s circumstance, effort, and luck. My mission expressed in my brand, Health Hats, has been to empower people as they travel toward best health. Lately, I feel like I’ve lost touch with the essence of empower. It’s been feeling arrogant. I’m not giving anyone anything. I’m not liberating anyone. I have no magic sauce, silver bullet, elixir, wand, pills or buds for empowerment. Maybe empower means that I’m participating in someone’s work to operate at peak performance. As a guest or a teammate, of course. OK, I can live with that. Multiple Sclerosis opened my door to peak performance. Thanks for stepping through that door with me. Quite a ride. Serena is amazing and so are you, Danny! Your tenacity and transparency are so appreciate and admired. Keep moving forward, my friend! Maybe the best type of empowerment is to be with your family and friends on their journey. We need friends more than elixirs or magic solutions! Hugs and hoping your optimism is back on track.